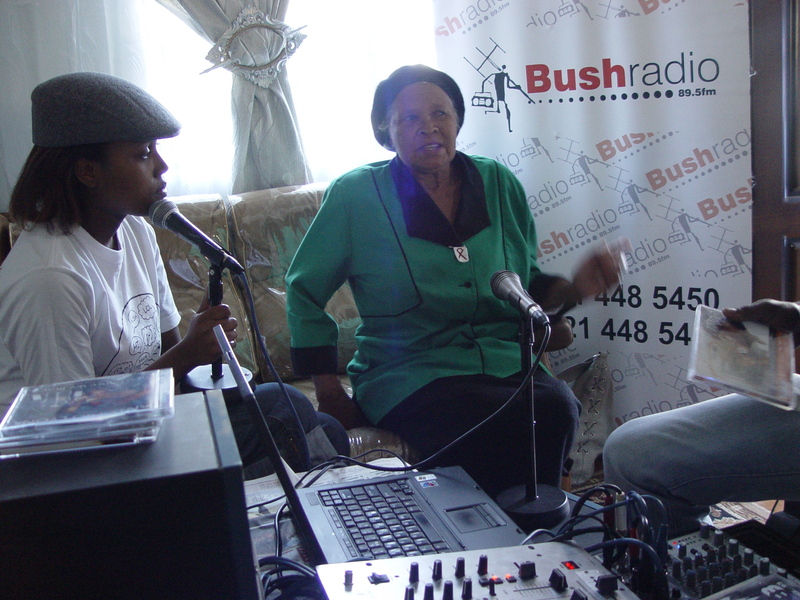 On Tuesday the 9th August 2011, Bush Radio 89.5FM celebrated National Women’s day at Mildred ‘Mme’ Lesiae’s house in Gugulethu. Mme is one of the leading women who organised a women’s march on the 9th August 1956 from Cape Town to Pretoria. 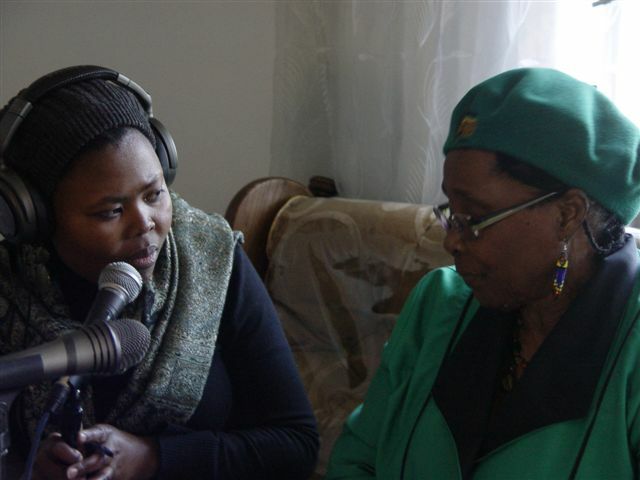 The four-hour emotional event was attended by more than 25 women of different ages, and two of our shows Sakhisizwe by Busisiwe Mtabane and Backchat by Lelethu Mquqo were broadcast from Mme’s house. The young women interviewed by Lelethu Mquqo were, from left to right, Zimasa Ndzule, Siphokazi Xameni, Nothando Zama Zantsi, Philiswa Saliwa, Siyasanga Ndlwana and Busisiwe Rhafu. 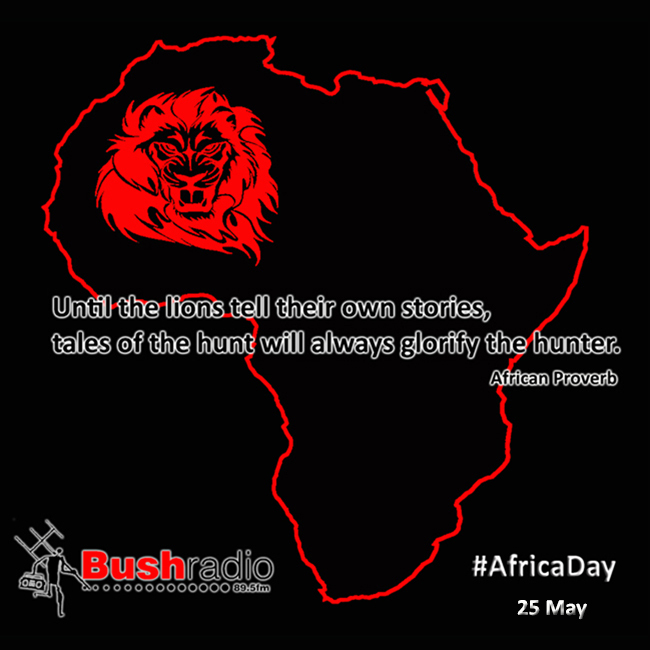 According to Bush Radio’s Managing Director Brenda Leonard, the purpose of the event was to give all veterans the opportunity to tell their stories and for young people to learn from it. The wise and old women took us back to the struggles and challenges they faced under the apartheid regime, telling us stories of the bad treatment they received in various places of work. ‘It was very interesting and inspiring to talk to these women and we need more of these events,” said Busisiwe Mtabane, presenter of the Sakhisizwe show. 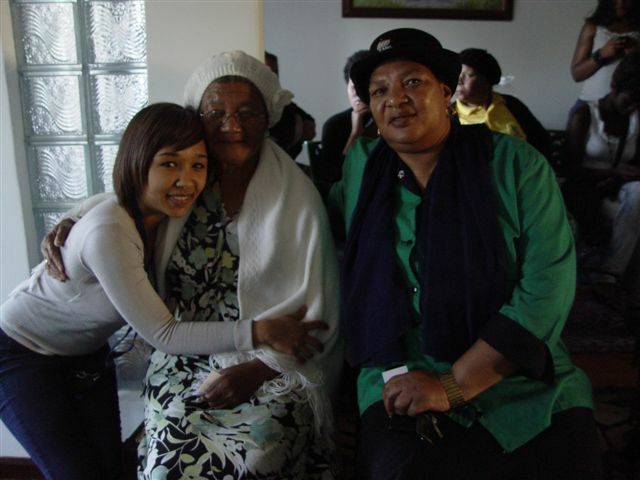 Tammy Fisher, Bush Radio production assistant, with ANC Women's League veterans; Florrie De Villiers and Dorothy Gopie. 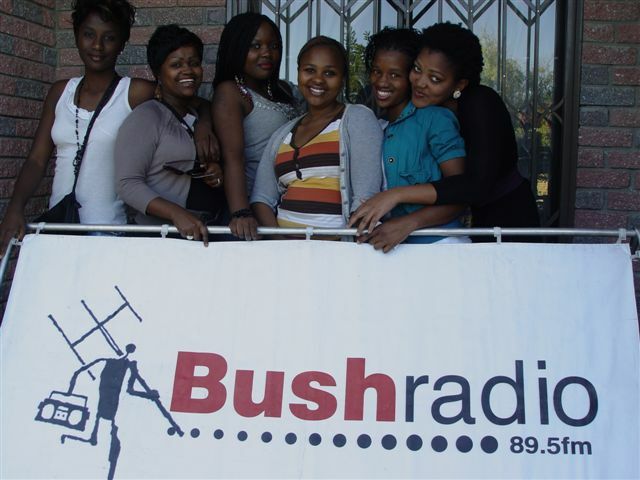 The Bush Radio 89.5FM Women’s Day event touched the lives of all those who tuned into the show. The saying “you strike a woman, you strike a rock”, was indeed a true reflection of the spirit of togetherness amongst women.